Yesterday we set off with the grand kids to buy raw goat milk for cheese making. We were not in time to see any milking, or to get close to the goats, but, as usual the scenery on the way to the farm was spectacular. 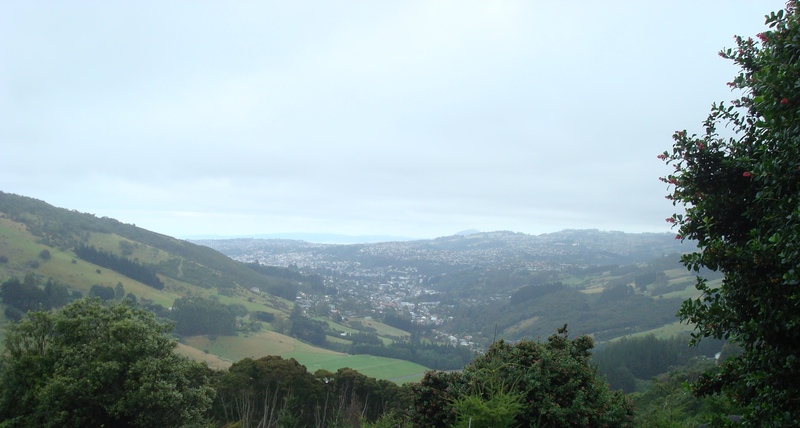 We had a lovely misty view down North East Valley, affectionately known as The Valley to us, its inhabitants, with the rest of Dunedin’s hills in the background. To compensate for missing the goats we had a bit of a walk, a bit of a climb, some hiding behind the trees and collecting many different types of fungi that all seemed inedible to me. I have propagated new cultures for the cheeses and will start making the real cheese tonight. Half will be Montasio, the other half a Cheddar. The goat cheese ricotta has been done and tastes delicious, very rich and creamy and with a much firmer texture that the cow milk ricotta I normally make. Romano, Caccio Cavallo and Parmigiano are on the list for May. We also have a couple of lawnmowing sheep but the dream of milking sheep will not be ours I’m afraid. Lucky you sourcing the milk though. Do you know from which breed of sheep the milk is coming?